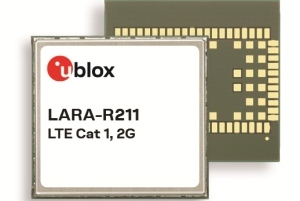 u-blox, a provider in wireless and positioning modules and chips, announced the SARA-R412M, an LTE Cat M1, NB-IoT, and quad band 2G (EGPRS) module with worldwide coverage. Measuring just 16 x 26 mm, the module is the world’s smallest to provide both LTE and quad band EGPRS support in a single design. 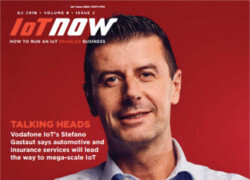 The flexibility extends further with dynamic system selection as Cat M1, NB-IoT, and EGPRS in single mode or as a preferred connection that does not require a module reboot to switch between modes. 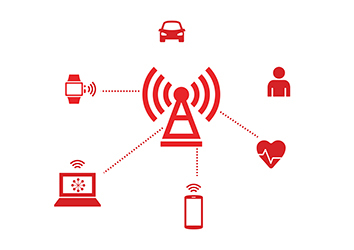 It brings a rich feature suite optimised for LPWA (low-power wide-area) IoT applications that require the assurance of 2G connectivity to guarantee broad geographic coverage, even in areas where LTE Cat M1 and NB-IoT are not widely available yet. 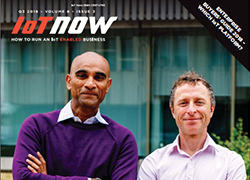 New IoT devices deployed in the field today can activate on existing 2G networks and still leverage the benefits of LTE Cat M1 and NB-IoT technology once it becomes available. The SARA-R4 series covers a whole host of IoT applications, especially those reliant on long-term, low power use or requiring connectivity deep within buildings. Examples include gas, water, and electricity metering, city street lighting, building automation, HVAC (heating, ventilation, and air conditioning), industrial monitoring and control, telematics, insurance, asset and vehicle tracking, security systems, alarm panels, outpatient monitoring, and many consumer wearables. SARA-R412M enables global solutions based on a single hardware version, allowing developers to select their own desired frequencies and operator configurations. SARA-R412M ensures data integrity between applications via secure communication protocols, notably including two-way authentication between client and server, a strategy often utilised with cloud services. Critical firmware updates can be delivered with the u-blox proprietary uFOTA (firmware over the air) client/server solution that uses LWM2M, a light and compact protocol that is ideal for IoT applications. 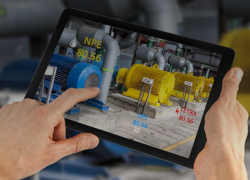 This allows end-users to continue using the same hardware when features and functionalities are updated, making it well-suited for critical applications running on devices that may be deployed in the field over long periods of time. SARA-R412M provides an extended temperature range of -40 to +85°C, and supports Power Save Mode (PSM) and Extended Discontinuous Reception (e-DRX) for LTE Cat M1 and NB-IoT connectivity, which can extend battery lifetime for up to 10 years. 3GPP Coverage Enhancement allows the module’s Cat M1 connectivity to reach deeper into buildings and basements, and even underground with NB-IoT when compared to other air interface technologies such as GSM or Cat 1. The module will be available later this year.